Keep an eye out for trouble, ok? Have you seen any trouble? If you have, tell it I'm looking for it. I don't usually go looking for trouble but lately trouble's gotten out of hand. Someone needs to take the trouble to remove our troubles. You think YOU have trouble? Tell me where the trouble is, I'll get rid of it! It might sound violent but I have no alternative other than to shoot trouble. Trouble-shooting is the most effective way to end troubles. Be sure to hire only a licensed and trained trouble-shooter (like me) because it's fairly dangerous work, especially finding trouble. 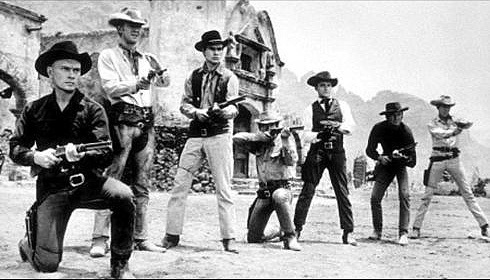 Ever see the Western movie "The Magnificent Seven"? They came looking for trouble and pretty soon they found it in that Mexican village. The Old West was where the term "trouble-shooting" comes from, I'm pretty sure. I assume you all know what trouble looks like? Just ask if you're not sure.